Granted that the Philippines is a nation of beer drinkers – a typical Pinoy salosalo won’t be complete without the requisite San Mig. 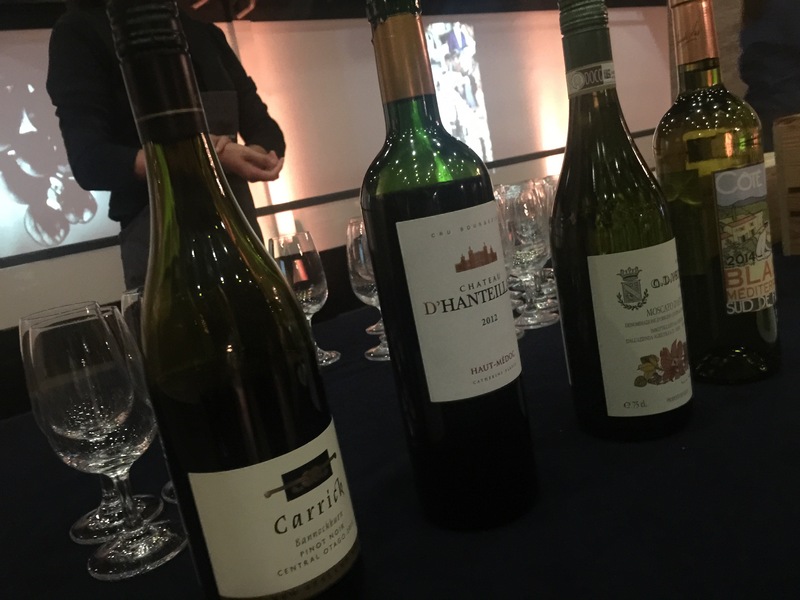 That is why more props should be given to Straits Wine, a ten year old wine distribution company, who has been staging the country’s premiere wine festival now on its fifth year. 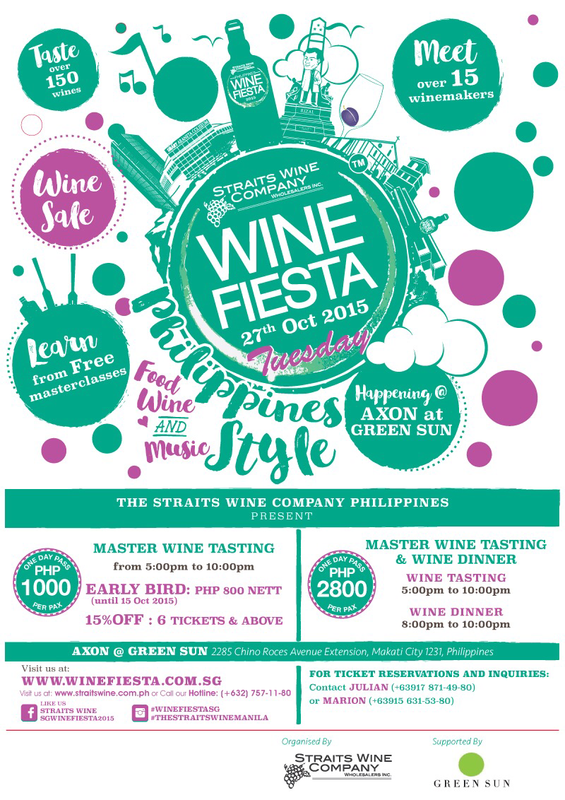 Dubbed “Wine Fiesta Manila 2015” the festival brings together 15 wine masters, 21 wine companies with labels exclusive to Straits Wine and about a hundred labels and flavored in one roof. This wine extravaganza is happening on the 27th of October at the Axon@GreenSun. 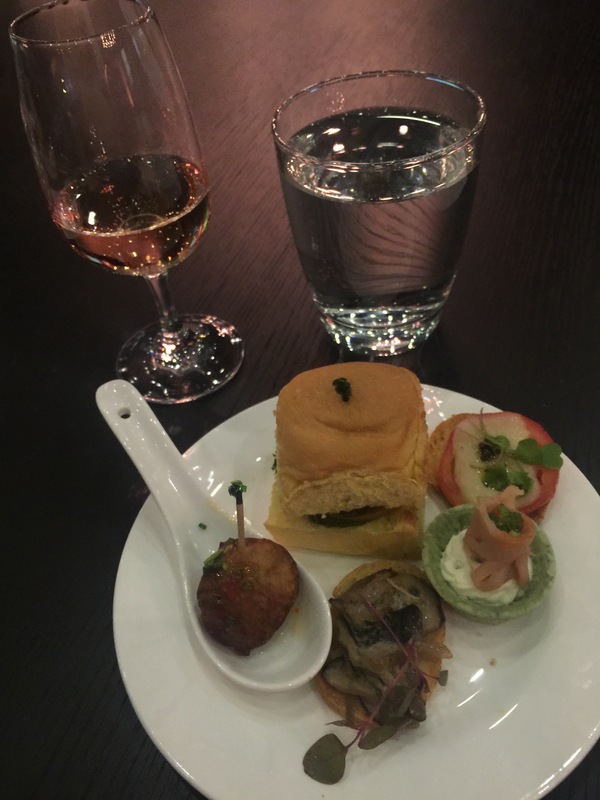 “Wine Fiesta is a celebration for sharing wine and food with an audience that is as equally passionate for wines. The idea behind the event is to make wines affordable and accessible to everyone,” says Julian Gagliardi, General Manager of Straits Wine Philippines. Gagliardi believes that Filipinos are ready to appreciate wine and aims to scrub the notion that wines are intended only for the elite. He shared that in Europe, wine is as common as water. Something that is immediately and inherently paired to food during meals. 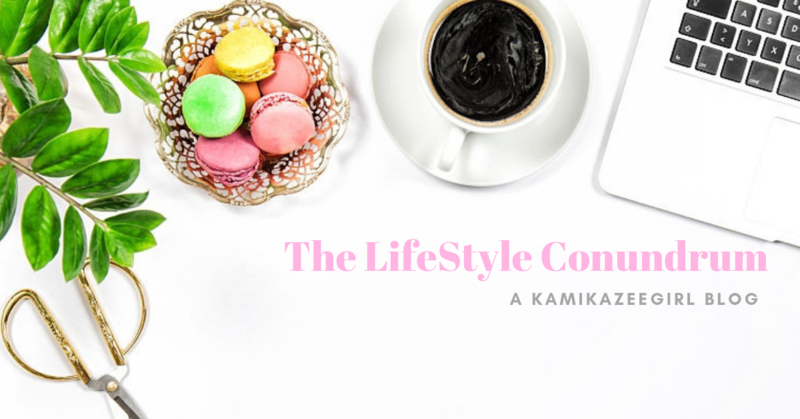 “According to “Dietary Guidelines for Americans 2010″4, published by the US Department of Agriculture, “If alcohol is consumed, it should be consumed in moderation – up to one drink per day for women and two drinks per day for men”. Tickets to the Wine Fiesta go for only PHP1,000 and provides access to a wide selection of wines from 5PM to 10PM. You can also attend master classes and talks conducted by wine masters during that time. Meanwhile, for only PHP2,800 — you can experience a unique Wine Dinner showcasing pairings of food and wine.